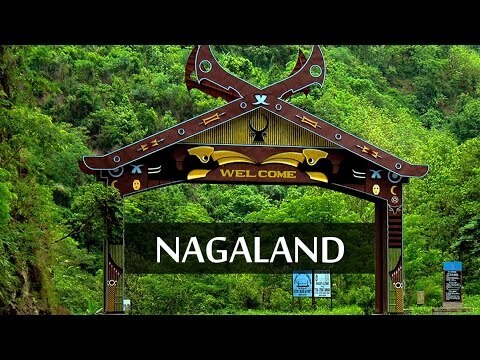 Kohima district of Nagaland has 100 per cent access to electricity, road connectivity, telephone services and government primary school. However, the district lacks in some of the basic amenities like hospital, higher secondary school and community health centre. This was stated in the 10th edition on the report of ‘Village Level Development Indicators’ brought out periodically by the Directorate of Economics & Statistics, Nagaland. The brochure detailed information on the availability of basic amenities for the 1326 villages surveyed in Nagaland as on March 31, 2016. In Dimapur district, there is 100 per cent access to electricity and telephone service. However, hospital, village library and government means of transport were the least available basic amenities in the district, according to the report. In Mokokchung district, some of the 100 per cent available basic amenities are electricity, telephone service and road connectivity. However, four villages in the district do not have government primary school as per the survey. Some of the other basic amenities lacking in the district are hospital, community health center and higher secondary school. In Wokha district, there is 100 per cent access to electricity, road connectivity, private means of transport, telephone service, government primary school and village community hall. The district lacks in areas like higher secondary school, hospital and internet. In Zunheboto district, there is 100 per cent facility only in terms of electricity. Notably, Zaphmi village in the district is the only village without telephone service. Four villages namely Lumthsami, Lumami, Khughoto and Punebooa do not have government primary school. The district lacks in areas like hospital, internet and higher secondary school. In Tuensang district, all the villages have electricity, road connectivity and government primary school. However, 17 villages in the district do not have telephone service. The district lacks in basic amenities like hospital, veterinary dispensary and government means of transport. In Phek district of Nagaland, all villages are electrified, connected by road, have telephone service, have government school and village community hall. However, the district lacks in internet facility, hospital and higher secondary school. In Mon district, all the villages have 100 per cent basic amenities in the areas of electricity, telephone service and government primary school. The district, however, lacks basic amenities like internet facility, hospital and higher secondary school. In Peren district, there is 100 per cent availability of basic amenities like electricity, road connectivity, telephone service and government primary school. The district, however, lacks in community health centre, village library and higher secondary school. In Longleng district, only road connectivity and telephone service are the two basic amenities availed by all the villages in the district. In Kiphire district, there is 100 per cent availability of electricity and telephone service.